I told my son, who was fiddling with making goofy YouTubes with his friend, that he should make a series of them and put them up but also make a different series as well, and a third. In other words, rather than just make a YouTube channel, he could create a Network. Monetized, of course. And from the proceeds of this small enterprise, he could then begin doing better quality, longer videos with more structured content… Just like a real broadcast network. It was a simple concept and I was certain other people were thinking along those same lines and it has now become a reality for many. The key to the success of these endeavors is, of course, advertising. People pay you to do what you like. Given that the advertising revenue is what drives such things, I was not in the least surprised when ads began to be run at the beginning of most videos OR, as is done quite often now, in the middle of the video. Now, the vendors “help” us by offering to pay for no-advertising versions of their service and a great many people take advantage of this. Extrapolation shows us that very soon we will see more of this bothersome practice creeping in to other area of our socialization. Such as in streams of text messages. You’ll be texting with your romantic partner when a text bubble pops up about dinner at Appleby’s or some such. No, it won’t be your partner, but you might both think it is. Perhaps not subliminal but effective. Later, you’ll be given the option of paying a fee to have the ads removed. And then, of course, the pièce de résistance: ads in the middle of your SPOKEN conversations. The only danger inherent in this sort of advertising is, of course, when it occurs in the middle of an emergency call. Many would think the advertisers will never go to these extremes but you have to remember, companies HAVE TO ADVERTISE! And if people are paying to not see ads anywhere, the advertisers will have to find new venues for their ads. They will reappear somewhere else. How about naming rights for the public schools since education can always use a few more dollars? And you can proudly claim your son graduated from Grover Cleveland Microsoft High and will be attending Stanford McDonald-Douglas. Roger Goodell has won the long tug-of-war with Tom Brady. Most people are saying it is the final chapter of Deflategate but this has really stopped being about that comedy some time ago. Goodell wanted to show that he had the muscles to flex and, like some schoolyard bully, was not going to stop coming after Brady until he got his way. Yes, he has proven that the Collective Bargaining Agreement had indeed given him the power to act so cavalier and petulant. And the best part: he has insured that he will never get that sort of power again. In the next iteration of the CBA you can be certain he will have blown his wad on this innocuous little trifling matter. That sort of power should have been used for something materially more valuable than swagger and stroking his ego. Exactly what, I don’t know but something bigger than trying to humble the MVP still in the league since the turn of this century. And speaking of RG3, Brady’s first game this coming season will be against the former Redskin. I’m just sorry I won’t see him in the first four weeks. Thanks for nothing Roger… go roger yourself in private next time. An older couple sat eating at the table to our right as we were seated and given menus. We engaged in small talk after making our selections, waiting the waitress’ return. Meanwhile, to our left, a young mother was given a seat and she propped her baby-carrier on the table. The infant seemed to be content or was sleeping quietly. Presently, the waitress arrived and took our drink orders. We both took water. On our left, the infant began to make some noise. The mother stood, unstrapped the baby, and sat again. Then proceeded to open her blouse, drop a cup, and begin to feed her child. To our right, I heard a gagging noise. I turned to see the old fellow was having a hard time swallowing something. Before I could rise and offer the Heimlich, he had regained control of his faculties. He signaled the waitress over. I thought perhaps he was going to order a large glass of water but what he asked for instead was a request that the young woman should be removed from the restaurant, either to a restroom or a private area not in full public view. The manager got involved and she told the old fellow that she saw nothing wrong with the public display. My wife and I departed even before the water arrived. Or the chamber pot. Nor did we know if he ordered toilet paper on the side. Some natural functions are meant to be private. 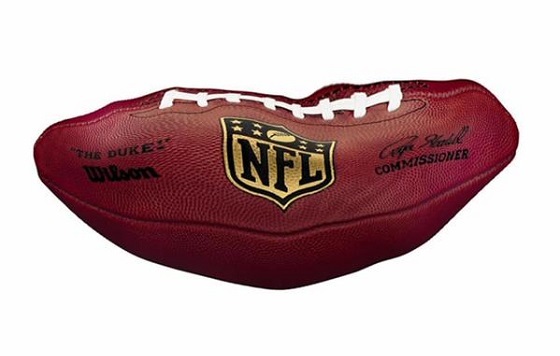 As much fodder as the Redskins have given the pundits in the off-season, there is one story that has gotten even more attention: the never-ending (or rather, near-to-ending) saga of Deflategate, a situation created out of thin air (pun intended). But I won’t address that on-going legal circus as I want to talk about the third-favorite item of the off-season: Tebow’s journey to become a player in the NFL… again. I have watched all the preseason games for the Eagles and can see some good stuff going on there. As usual, Chip Kelly offenses just keep on chugging along, and quickly. Having four QBs fighting for roster spots seems a bit of a stretch for most teams but Kelly is not your typical coach. Not even in the same ballpark. Bradford has the #1 spot sewn up and he looks sharp. About what you’d expect for a guy who has been the starter for another team for several years now. Sanchez is adequate as a backup, I suppose, but he didn’t especially wow me. But then, I’ve watched him in other seasons before and he looks really good in preseason but tanks in real time. And that brings us to the two fellows battling for the highly coveted 3rd string QB position. Barkley has a bunch of supporters and they make a pretty good case. We will have to wait and see what Kelly’s choice will be. As good as many have claimed Barkley to be – sometimes even looking better than Sanchez – at other times, Tebow has looked better. Yes, Barkley (and Sanchez) have had quite a few of their throws miss the intended receivers by a wide margin. In the passing category, it is obvious Bradford is the standout favorite. But this isn’t just any other team in the NFL, this is Kelly’s team. One of the often used plays in their arsenal is the option play – where the QB turns to give the ball to the running back and can decide to keep it and run with it himself if the defense looks good for him to do so. I am sure Kelly has that play in his repertoire because he wants the QBs to run on occasion. From what I have seen in the three preseason games thus far, only one QB playing for the Eagles actually uses the play. Bradford, Sanchez, and Barkley simply hand the ball off and take a couple of steps like they actually had the ball, or something. The defenses weren’t fooled. They keyed on the runner and took him down. The only QB for whom that play was successful was Tebow because, you know, he actually thinks of that play as an “option”… not just a chance to hand off the football. I’m not saying those other guys are above anything like trying to actually run with the ball but… Hey, Bradford’s had injury issues, y’know, and Sanchez is… well, Sanchez, and Barkley… who knows? Hopefully, looking at the situation in this light might make Kelly’s choice a little easier. I have spoken previously of Gruden’s rather transparency – actions speak so much louder than words – and the shenanigans at Redskins Park continuing even after the Shanahanigans have gone. A couple of weeks ago, RG3 made headlines with his quote about being the best quarterback in football. The news mavens were all over that statement like white on rice. Many ran with it while others, more circumspect, did not take it out of the context in which it was said but complained about Robert not learning how to talk to reporters and allow such misquoting to go on. It’s Robert’s fault for all the scorn heaped on him, they claimed. Seems like the fellow is damned if he don’t, huh? If he didn’t talk to the press they’d have a field day over that as well, claiming he was a prima dona or a Marshawn Lynch. If he speaks with a positive spin, they chide him for that. The guy can’t win. What’s really funny, when I read the full quote, I was struck by a phrase he used a little earlier in the statement: about all the back-stabbing that goes on in the business. A really sharp reporter – and there seem to be so few of them covering sports – would have followed up on that comment. Now, it seems a little too obvious what he meant. This morning we were greeted with the news about yet “another RG3 misstep”, supposedly. An instagram by one xtramambosauce, ranting about the antics of the owner and coaches in this situation and placing the blame entirely on them. One of the persons who “liked” the post was RG3. Very quickly the “like” was removed and RG3 had to explain that it was a media intern who had liked it, not himself. Now why would a media intern working for the Redskins organization go out of his way to like a post knocking the owner… you know, biting the hand that feeds him? Griffin did mention something about “backstabbing”. After reading the rant, I thought why would this fellow include Snyder as one of the RG3 haters – wasn’t he the one supposedly in the QBs corner against the coach? Then I recalled the amazement with which Gruden’s hiring was met over a year ago. Why would Snyder hire a man who was not “hooked on” Griffin if the man was slated to be the QB for the future? It didn’t make a lot of sense to me. It seems what we know coming out of the organization is nothing more than spin. It certainly does make trying to understand what’s going on a little more difficult. Seems everyone is just lying. Ooops! Gruden spilled the beans. Actually, there hasn’t been one. Gruden did not want RG3 to begin with but if you are working for an owner who wants RG3 so adamantly, and you want to keep your job, what do you do? Obviously, you have to mouth the party line and try every trick at your disposal to sabotage the situation. Yes, Gruden “wanted” RG3 but… well, shucks, seems like it was not to be… act of God and all that. Yeah, like a guy who ties his victim to the railroad tracks and says the train running him over was just an act of God, right? I am not exactly sure how the Creator of the Universe likes being hung with the rap on this one but I think it belongs completely on the shoulders of the spineless coach. Any coach who would send a star player out to get injured in a preseason game behind a second-string porous defensive line just so they did not have to deal with the fellow is not a person worthy of any respect in my book. I have already seen this “coaching” gimmick used by Rex Ryan, Jeff Fisher, Steve Spurrier, Greg Williams, and more. Gruden is, sadly, not in a class by himself. And some of these coaches think they are doing what is “best”… for the team or for their paycheck, either way it is still an under-handed way to remove the thorn in your side. And there you have it. It “is what it is“, understated prophecy from the all-seeing Gruden, and not “any of that stuff” (whatever the hell that means) in that all-seen future. I don’t know why anyone hangs on this fellow’s every word. I have not heard any truth pass his lips yet. But I guess that falls under the “is what it is” tag. Another PR Fiasco? Au Contraire! I would be sadly remiss as a football fan if I did not weigh in on “deflategate”, as the multi-faceted fiasco is being called. Brady-haters are cheering the comish for knocking the fellow down a few pegs even if he did stop short of reversing the Super Bowl win. They think the punishment is a good start for treating Brady. On the other hand, the Patriot faithful are howling at the grave injustice of it all, especially since the Wells Report contained absolutely no evidence of wrong-doing. They claim Brady is being railroaded. The majority of the press corps is talking about the adjudication by Goodell is not about the present case but includes all the former shenanigans the Patriots have pulled over the years. In short he is trying to stop the arrogance of the Belichick way of doing things. Well, at least they are right in one respect, I think. This is all about the past. No, not the past missteps of the Patriots organization… if I recall correctly, they have been penalized for every one of those things previously. They are being penalized for the missteps of one Roger Goodell, and all the disciplinary missteps he has made over the past season or so. Goodell claims that the “deflategate” mess, that he claims (without any evidence) was created by the Patriots and as such besmirches the great name of the NFL. They, he crows, have tarnished the legacy… yada yada yada. Perhaps he is most upset that they have infringed on his territory as “tarnishing the legacy of the NFL” has been mostly in his bailiwick for the past couple of years. And, if I might add, he has done an exemplary job of mucking things up. It keeps the NFL in the news, center stage, being talked about. And, all things being equal, that’s really what is most important to Goodell, Robert Kraft, Tom Brady, all the other owners and all the other players. The NFL is front and center in the news, in chats around the water cooler, and on a billion-and-one blogs (though this one might be the billion-and-second). Everybody’s talking about the matter. Which means (of course!) that everyone cares. Philly has signed Tim Tebow to a one year’s deal but that could mean anything at this point. Other than reporter Trent Dilfer, every other commentator in the sports press seems to think it is going to be a waste of time, even though they all claim to have not yet gotten a chance to see the “new, improved Tebow”. Most are still complaining over the “old Tebow” with most crowing the familiar refrain that you cannot change a leopard’s spots. If they were correct in the idea that people cannot fundamentally change, I suppose Saul of Tarsus’ tale of redemption on the road to Damascus was a lie. If people cannot change, I suppose Alcoholics Anonymous doesn’t really help anyone set aside their addictions. And, it should also figure that every heartwarming story of redemption and forgiveness in the history of the world is nothing but a sham. One thing I do know that does not seem to change is these people’s attitude about Tebow any more than you can get the press to change their stance on the Kennedy assassination. I am hoping that Chip Kelly can prove all these people wrong by pulling off one of the great coaching miracles he has been known for. And it won’t even matter if the talking heads praise Tim’s success as proof of Kelly’s brilliance rather than his abilities. Which, of course, is how they will slant the story. Cannot admit they could have been wrong, y’know. Jay Gruden shocked the football world when he came out and “trashed” his quarterback in public. Peter King’s column took up the case and said Griffin III has to be tried and tested very thoroughly the last six games of the seaon to determine if he is going to stay a Redskin. Both of these gentlemen seem to be overlooking the obvious: RG3 is a dynamic athlete that has played well in the past when playing HIS brand of football. Gruden’s complaints were very explicit in his saying RG3 missed the number of steps each drop should have entailed. Yes, it is obvious Gruden wants to make Griffin into a pocket passer… you know, like Kirk Cousins. Hey, Gruden, tell me again how well that worked for you and Cousins, huh? But Gruden’s desires are not new. He stated in his very first news conference that he uses a scheme that requires a good pocket passer. So, why didn’t he go to a team that already had a good pocket passer? Duh! Instead he comes to DC and apparently those in command of the organization (owner Snyder and GM Allen) were made aware of Gruden’s taste and plans before hiring the guy. So they all seem to be on board with the idea of forcing RG3 into becoming a pocket passer. It is almost as if these guys went down to a car lot to find a vehicle to haul wood around and they come home with a Mazerati, hitch up their trailer to it, and start carting wood. How long do you think the car is going to last under those conditions? As I have mentioned before about the case of Lavar Arrington, the team took an absolutely dynamite player who led the team in tackles his first year and then benched him under the new defensive coordinator because the fellow could not learn “the scheme” put in by Greg Williams (remember him, huh?). Schemes are for people who are very good but really mediocre. Sure, their “mediocre” is better than anything other than the NFL, but they are just very, very good. Not great. The greats are those whose natural talent far outshine everyone else. They are dynamic and play instictively. In other words, not by any scheme. Would you force Peyton to run the play that was called in rather than make any “adjustments” of his own at the line? Would you force Brady to do what RG3 does so well, run with the ball? So why would any rational human being take the square peg that RG3 is, shave off the corners and force him into a round hole? If RG3 had been capable of being a great pocket passer, he would have already done that in college like Andrew Luck. The Seattle Seahawks built their offense around the strengths of Russell Wilson. The year before Peyton arrived, John Fox did the same at Denver, adjusting the offense to match the strengths of Tim Tebow. These teams nade it to the playoffs because the coaches were smart enough to know that the majority of the players CAN adjust to the play at quarterback. If the quarterback is to be the commander on the field, it had better come naturally. Otherwise he will spend too much time trying to re-think everything he already knows about the game (and himself) to become something the incompetent coach is forcing him to be. In a game earlier this season, RG3 headed for the sidelines, turned his body to throw a pass, broke his ankle – and knew it immediately as he kept that leg well elevated – and while falling backwards and sideways STILL COMPLETED THE PASS down field for a first down. And all the coach can think is trying to force him into being a pocket passer. It was in that same game where it looked like we had the old RG3 back. He was running – not the same extended loping strides of his first year – but exciting enough for the crowd. They went nuts, cheering everytime he took off running. THAT’s what they love about RG3. If they wanted to cheer a pocket passer, they should get Aaron Rodgers’ clone. Another thing about Gruden, he said that RG3 should worry about his own actions on the field and not worry about what the other players are doing. Then he says RG3 should be paying more attention to all aspects of the game around him, not just his mechanics. If that is the sort of self-contradictory “coaching” RG3 has been getting, I’m surprised he can function at all. If Peter King is correct that Washington needs to use the final six games to determine if they are going to keep RG3, I’ll save them the tension: trade him away NOW. Perhaps the next team will be run by someone intelligent enough to use his talents. And we already know that can’t be Gruden because – paraphrasing his own words – he ain’t even close to being smart enough.